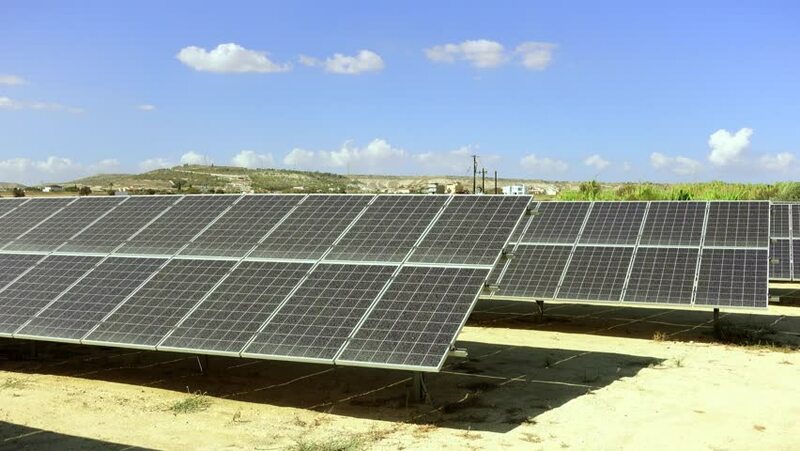 Large dusty solar panels in the field under the clear blue sky. Huge sun power plant in the wild. Concept of green natural energy collection. Clean and environment friendly electricity source. 4k00:10Panning aerial tracking shot of a solar farm from a low angle. Highly realistic animation. This a 3D render and therefore not a commercial property that would require a release. 4K broadcast quality.